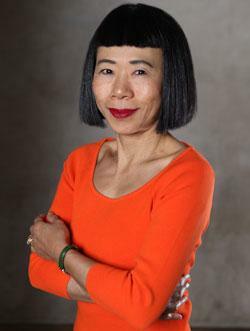 Hiroko Shimbo is the author of Hiroko's American Kitchen, The Japanese Experience, and The Sushi Experience. She is a trained sushi chef and works as a chef-consultant based in New York City. Hiroko Shimbo explains why you should eat the shiso that comes with sashimi and why shiso juice is hot pink. Try her recipe for shiso juice and make a little science magic in your kitchen. Cookbook author Hiroko Shimbo takes a turn in the hot seat for Amy Edding's 60-Second Stir-Fry.